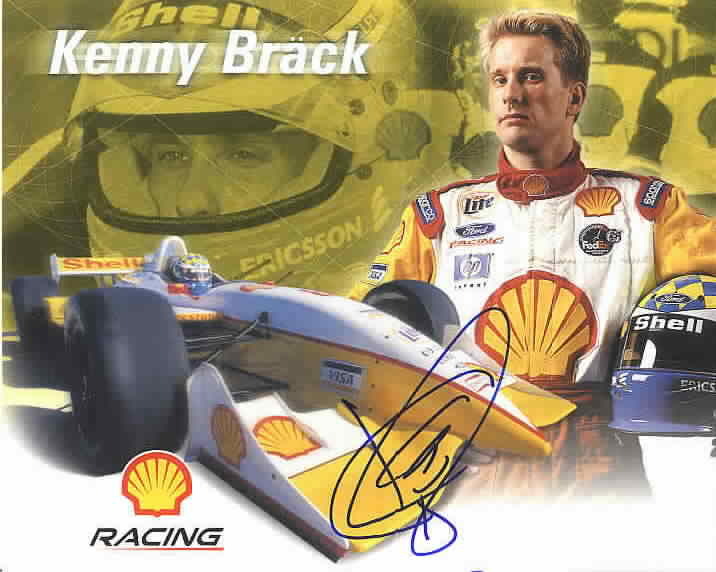 8x10 Shell Racing promotional photo card autographed by 1999 Indy 500 winner Kenny Brack. With certificate of authenticity from AutographsForSale.com. ONLY ONE AVAILABLE FOR SALE.